RENT the musical is back in Manila!Â Do check out the poster and details about the RENT musical below.Â This musical is brought back just in time to promote awareness today of this very deadly disease rising in our society today â€“ AIDS, just in time to celebrate International World AIDS day this month. 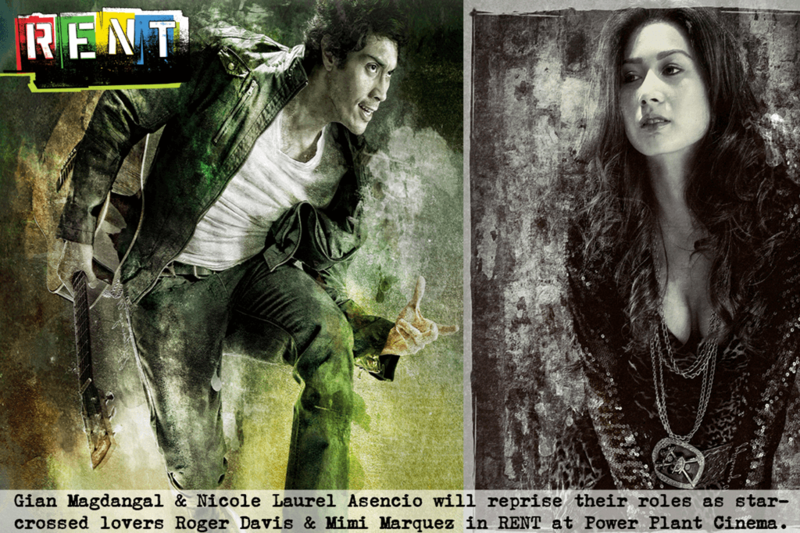 RENT will be staged for a limited run of 8 performances at Power Plant Cinema 2 from December 8, 9, 10, 11, 12 (8PM) and December 10, 11 & 12 (4PM). Get your tickets now at the Power Plant Cinema ticket booth. Call 898-1440 or 898 1441. In celebration of its 10th Anniversary, Power Plant Cinema is bringing back the award-winning Broadway Musical RENT to Manila. On Broadway, Rent gained critical acclaim and won a Tony Award for Best Musical among other awards. The Broadway production closed on September 7, 2008, after a 12-year run and 5,124 performances, making it the ninth-longest-running Broadway show by that time, ten years behind The Phantom of the Opera as of December 2009. The production grossed over $280 million. Reprising their roles are some of the finest and upcoming theater artists which includes Gian Magdangal as Roger Davis, Nicole Laurel Asencio as Mimi, Fredison Lo as Mark, OJ Mariano as Collins, Job Bautista as Angel, Jenny Villegas as Joanne along with the rest of the ensemble composed of Gary Junsay, Johan de la Fuente, Harold Cruz, Mark Tayag, Mian Dimacali and Pam Imperial. A must-see are the new members of the cast: Lorenz Martinez will give aÂ new twist to the character of Benny and the real-life sweetheart of Gian Magdangal, ShereeÂ will alternate as Mimi. The musical will be staged by 9Works Theatricals, through special arrangement with Music Theatre International (MIT), and will be directed by Robbie Guevara.